Founded in 1897 as the National Congress of Mothers by Alice McLellan Birney and Phoebe Apperson Hearst, National PTA is a powerful voice for all children, a relevant resource for families and communities, and a strong advocate for public education. Today’s PTA is a network of millions of families, students, teachers, administrators, and business and community leaders devoted to the educational success of children and the promotion of family engagement in schools. Your school's PTA is a part of both our state and national associations that work toward the common goal of making every child's potential a reality. See how ﻿National PTA Advocates for your child﻿. 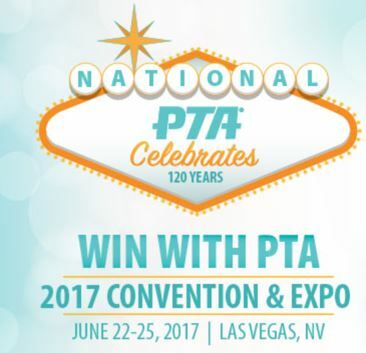 National PTA convention is an opportunity to network with more than 1,000 PTA members and partners and hear from experts in the PTA and education community in a robust offering of inspiring education sessions and special guest speakers. Click here for more details on National Convention. Northshore Council PTSA already has 5 people signed up to attend this great event! National PTA School of Excellence is a recognition program that supports and celebrates partnerships between PTAs and schools to enrich the educational experience and overall well-being for all students. As a National PTA School of Excellence, families feel welcomed and empowered to support student success, and PTA is a key partner for continuous school improvement. By participating in this program, your PTA and school will gain new ways to engage families in school decision-making, such as improvements to programs, practices, and policies related to education, health, safety or the arts. Bullying - Connect for Respect is National PTA's initiative to encourage PTAs across the country to lead conversations in their school communities about bullying, how it is affecting their communities, and to develop solutions that they can implement collaboratively together. Parents and caring adults play pivotal roles in creating a healthy school and community climate that is free of bullying. PTA leaders and parents are key players in building awareness in the community and taking action to stop bullying in your communities. Use the tools and resources on NPTA's webpage to plan Connect for Respect events. The PTA Family Reading Experience, Powered by Kindle includes a set of free activities and tools in English and Spanish to organize events that engage the entire family in improving reading skills for students between kindergarten and fifth grade. Fire Up Your Feet, a new physical activity program that encourages families to walk more to and from school—and in daily life—while keeping track of their steps, and raising money for their PTA or school. As Family Engagement Partner, National PTA believes that Fire Up Your Feet provides a great new opportunity for families to get active and spend more quality time together, all while helping out their PTAs and schools. Schools and PTAs in ten regions will also be provided with nearly $70,000 worth of awards to boost opportunities for physical activity. National PTA's Take Your Family to School Week is a program encouraging strong family engagement and the importance of partnerships among parents, teachers, and school administrators. For the 2013-2014 academic school year, Take Your Family to School Week will incorporate the theme, Supporting Student Success, which will address the risks associated with a huge problem for our nation's youth: dropping out of high school. Click on the title of these programs to visit the respective pages on National PTA's website for further details.